Solid Gold’s new seafood in gravy canned cat food is now in our warehouse and will soon be available in stores for your favorite cat. 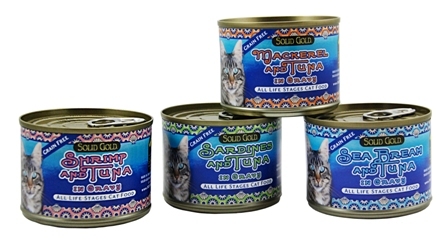 We are excited about these four healthy new formulas; Shrimp, Mackerel, Sardines and Sea Bream, all with Tuna. The seafood is shredded and is packed in a light gravy providing a nice texture and just the right amount of moisture. The moisture found in canned food for pets is an excellent way to give hydration to the body and support for urinary tract health. 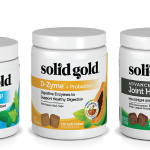 Solid Gold Health Products for Pets, specializes in the development of non-allergic pet products which work together to enhance total health, boost the immune system and protect against disease. These new seafood formulas are no exception. With the seafood providing an excellent source of minerals and vitamins and also an excellent source of omega-3 essential fatty acids, Solid Gold is always ahead of the game when it comes to ingredient choices to make our pets feel and look their best. Our resident felines Holly and Frankie were both enthusiastic, and ate without hesitation their first taste of the Mackerel & Tuna today. We look forward to their next meal of another one of the new Solid Gold Seafood blends. 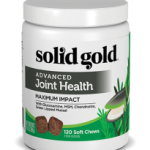 Find Solid Gold Pet Products at a Solid Gold Northland Retailer near you.